California condors are beautiful birds that can live up to 40 years. These magnificent creatures are one of the animals that have been on Earth the longest. Over the years, the condor’s population has begun to greatly diminish, placing them on the endangered species list. Many factors have caused the California condors to loose much of their populations. Can we save the California condor before it is too late? Multiple conservation projects are underway to try to revive the condor population and remove them from the endangered species list. California condors are extremely large birds. They can have a wing span of up to 9 feet and weigh as much as 20 pounds. They are one of the largest birds in the world that can fly. These birds are very unique because they can constantly soar for hours without ever having to beat their wings. They can fly at an extremely fast speed, sometimes as fast as 55 miles per hour. They feed on dead animals, such as deer, and cattle. What Caused the Condors to Become Endangered? The condor population began to quickly diminish as mankind began to invade their natural habitat. Condors often fall victim to gun shot and being captured by humans. The condor’s eggs began to be collected, causing less offspring to be hatched. Many condors are poisoned. As the condors eat animals that have been shot by humans, they become poisoned from the lead fragments of the bullets found within dead animals. They are also poisoned with bait. The condor’s food supply quickly decreased as man hunted their food supplies and took the carcasses. Many environmental issues have caused the California condors to loose much of their population. Many pesticides harm the condors, which can prevent their eggs from properly hatching. Their nesting areas are being decreased as the human population continues to grow. Can We Save the California Condor? Many conservation attempts are underway to increase the condor population and remove them from the endangered species list. In 1967, a federal law was passes protecting the California condors. In 1970, it was found that only a few dozen condors remained in their natural environment. By 1980, major efforts began to try to reestablish the condor population. The condor’s eggs began to be collected and hatched in the San Diego Wild Animal Park and the Los Angeles Zoo. Some of the condors that hatched in captivity were released into the wild, equipped with radio transmitters to monitor them. The other hatching’s remained in captivity to breed. Although these efforts were made, it was not enough. In the late 1980’s, all of the condors remaining in the wild were captured and placed into captivity. The birds that were collected were bred and their offspring were released back into their natural environment. This quickly showed positive results and the California condor population began to increase. Although this process is slow, each year many condors are released back into the wild. 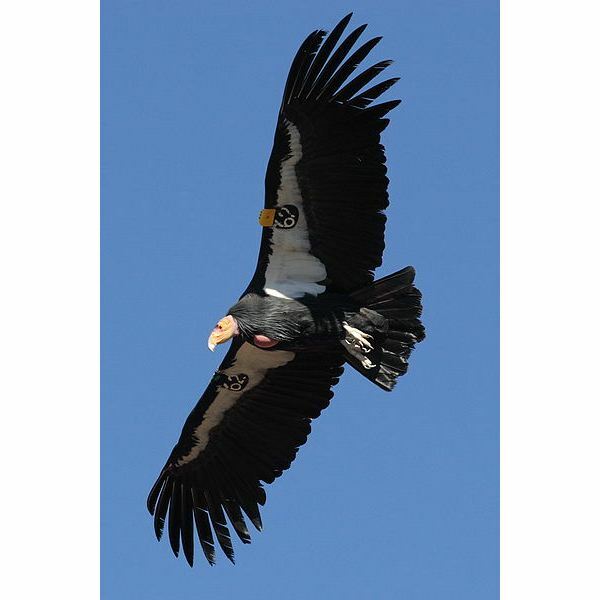 These efforts have made an impact on the condor population, causing it to slowly increase. In time, the California condor may be able to be removed from the endangered species list.